Billy King was born in Louisville, KY and raised on his family’s farm just outside the city. He played football for University of Kentucky, earning a degree in finance and international business. With family in Hilton Head since 1979, whom were instrumental in the island’s commercial and residential development on the island, he has known this special place as a second home for vacations, holidays and special occasions. Billy spent his summers on the island interning for his family to learn the ropes. He fell in love with the island and made it his permanent residence in 2002. Billy started working in the commercial real estate development field before moving to Spain to attend EADA Business School, obtaining an International Master’s degree in finance. He then returned to the island working in structured finance and as a financial consultant for Federal Government projects and received his real estate license in 2005. With extensive commercial real estate development experience, Billy’s passion is for residential real estate. What makes him unique is knowledge of the finance aspect of real estate, coupled with residential investments, home renovations, sales and marketing on Hilton Head Island and the Lowcountry. He has personally invested in, managed and sold over $15 million in homes in Long Cove, Sea Pines, South Forest Beach and Port Royal. Understanding that today’s buyer is far more educated and informed, Billy’s approach is to assist a client in getting exactly what they are looking for; whether that be a turnkey dream home or a value property that is a prime candidate for renovation. With a team of contractors, interior designers, and trades, Billy can offer a unique approach to the informed buyer by designing renovation options for possible homes. Billy and his team can also assist with a full or partial renovation and staging for sellers to quickly sell their home at the highest price possible. Hilton Head is the place for you! 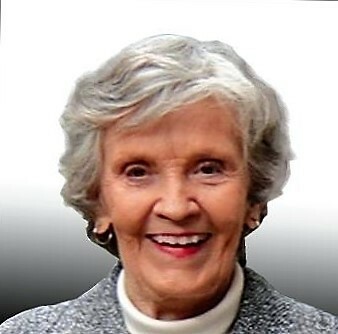 Betty Hemphill grew up in Texas and graduated from the University of Texas in Austin. She married her husband in San Francisco and spent time living in Colorado. Betty moved to Hilton Head Island in 1986, where she and her husband raised their two children and she began selling real estate. Betty is a lifetime member of the Distinguished Sales Award and she is consistently in the top 2% for production among individual Realtors. The satisfaction and loyalty of her clients is evidenced by her performance. 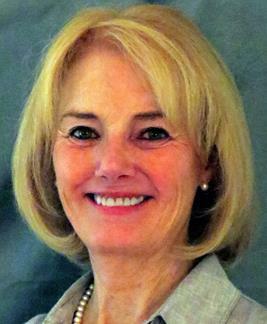 Betty is a partner & owner of Sea Pines Real Estate – The Cottage Group. If you are considering a move, please give Betty a call. She would be happy to arrange a tour of properties or provide a complimentary market analysis. Carol is originally from St. Louis and Rochester, New York. Upon graduation from DukeUniversity, Carol’s French degree landed her a job driving a roller on a paving crew for Nello L. Teer in North Carolina, a position which was a promotion from her first one as “flag man.” She then returned to Rochester and, through Kelly Girl, obtained a clerical position at GMAC. But after expressing her envy of the men with company cars, she was allowed to try her hand at repossessing cars. Upon tiring from two years of repossessing cars out of snow drifts, she turned her sights to law. 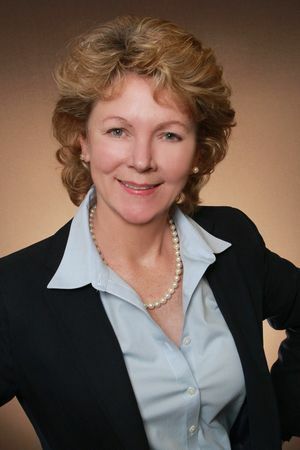 After graduating from SUNY at Buffalo Law School in 1982, Carol practiced law on Hilton Head until she joined her mother, Laura Cramer, at Sea Pines Real Estate in 2004. 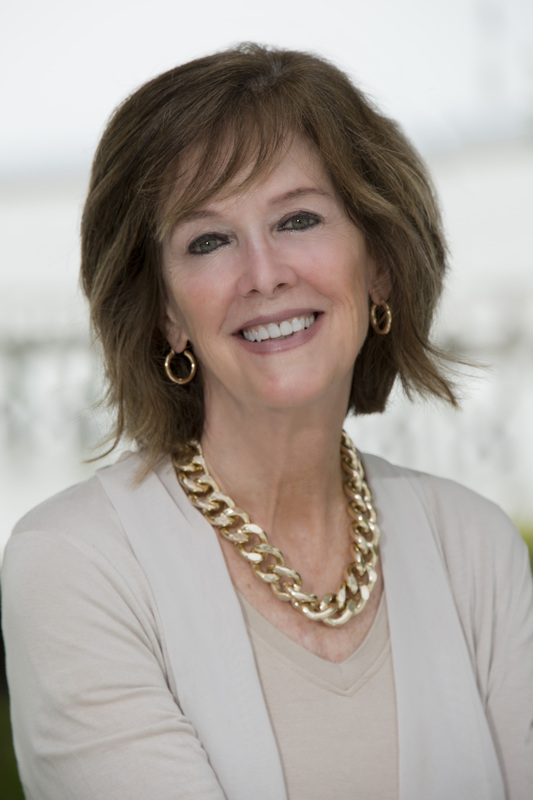 Carol is a broker and principal at Sea Pines Real Estate South Beach and a member of Clark, Cramer & Frank, the leading sales team in Sea Pines. Carol has sold or listed property in Sea Pines, North and South Forest Beach, Palmetto Dunes, Port Royal, Indigo Run, Hilton Head Plantation, Windmill Harbour, Moss Creek, Old House Creek, Heritage Lakes, and several other neighborhoods on and off the Island. Carol has two sons. One, a graduate of Carnegie Mellon and Washington and Lee Law, is an attorney in Charleston, South Carolina; and the other, a graduate of Boston College, is a Ranger Qualified Officer in the US Army and currently deployed overseas. Both were born on Hilton Head and are graduates of Hilton Head Prep. Carol loves dogs, especially poodles, music, the laughter of little kids, and the Lowcountry. A full-time island resident since 1984, Lynne Anderson brings unparalleled knowledge of advertising communications to Hilton Head's dynamic real estate world. 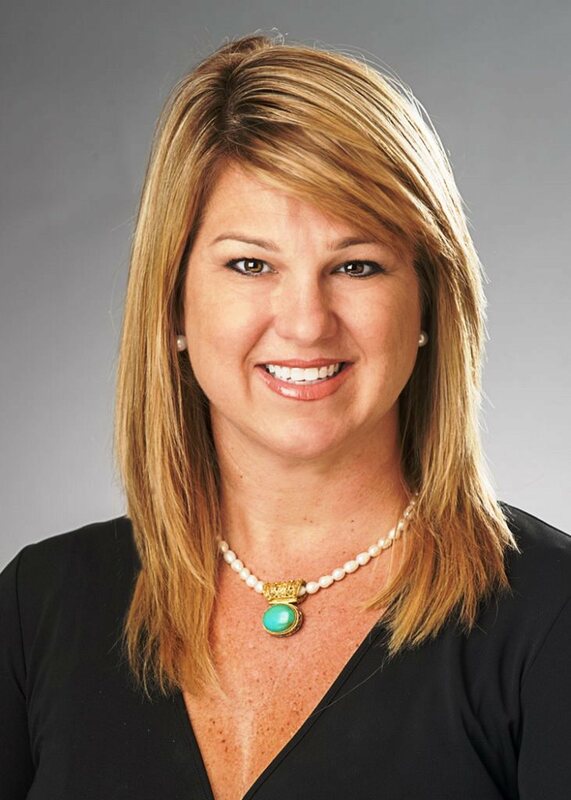 She boasts a 25-year career on the marketing side of real estate as one of the principals at one of the Southeast's leading advertising firms. Her specialty was real estate and resort marketing including online and offline media. She began her early career with the Sea Pines Company straight out of Vanderbilt University. Topped only by the energy, attitude and communications skills Lynne brings to her real estate relationships, she believes listening to clients is key, and learning never stops. Lynne boasts in-depth knowledge of Hilton Head, its history and the surrounding Lowcountry, and matching people with the absolute right property, at the right price is what she does. Lynne is also the proud parent of four very tall, very talented children. Tosh, Ian, Grace and Riggs, and professes allegiance to Kentucky basketball, SEC football, Northeastern University crew, anything baseball and Hilton Head Prep. Buying her first home, in Middlebury Connecticut, at the age of 19 was the start of Paula’s real estate career. Flash forward to 2003, Paula procured her Real Estate license in South Carolina and has sold over $100 million in real estate on Hilton Head Island and the Lowcountry. She has a fabulous husband, Jack, celebrating 30 years of marriage. Two children, who both went to Hilton Head High School and participated in the International Baccalaureate program. Paula enjoys USTA tennis teams, boating and golf when she is not selling real estate or enjoying her family and friends. Paula has been featured in five episodes of HGTV’s Island Life. 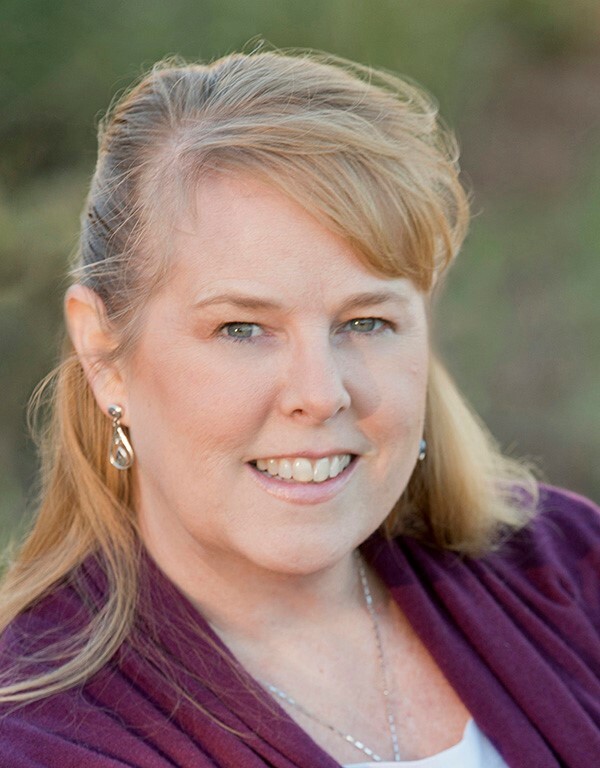 Kathy began her real estate career with The Sea Pines Real Estate Company in 2004. Kathy holds an Undergraduate degree in Sociology from Guildford College and a M.Ed. in Food & Nutrition from The University of North Carolina at Greensboro. She is also a graduate of the Culinary Institute of America and is e-PRO® certified. In today's real estate market, there is simply no substitute for a good REALTOR®. Whether you're aiming to buy or sell property, Jeff Hall's experience and knowledge can make the difference between a smooth transaction and an unsuccessful one. I am a dedicated and knowledgeable Hilton Head Island & Bluffton Real Estate Agent who can provide you with the highly specialized information that will help you make the right decisions. It's the combination of this unique market-knowledge and excellent negotiating skills that enable me to get you the optimal price for any property you plan to sell or buy in the shortest amount of time. As a real estate expert in the Hilton Head Island & Bluffton Lowcountry area for 21 years, I can provide you with helpful insights about the area, and can show you why Lowcountry living is truly something to be desired. Thanks to my clients, I have been one of the Top Producers in the Hilton Head area for the last 16 years. With a professional yet friendly approach, I help clients feel comfortable about what can be a stressful decision. Trust is hard to come by in today's fiercely competitive real estate market. I am here to provide you with the professionalism and integrity needed to ensure that you feel secure in what can be one of the biggest decisions of your life. Before coming to live on Hilton Head Island, Ingrid Low was like many other residents. She had vacationed here and loved it. Real estate sales appealed to Ingrid because it seemed a natural transition from her previous career. Based in New York, she had a brilliant record selling heavy industrial equipment to the textile industry for a major European manufacturer. At the time, she was the only woman in the field. Since 1979, Ingrid has been successfully selling real estate on the Island and has helped hundreds of satisfied clients with their real estate needs. Whether it is a villa or an oceanfront home, all of Ingrid's clients receive the highest level of service and attention. As a result, 95% of her business is derived from referrals and repeat business from satisfied buyers and sellers. Thanks to their tremendous loyalty and support, she has been recognized as one of the top agents on the Island for over 25 years with over $245 Million Sold. 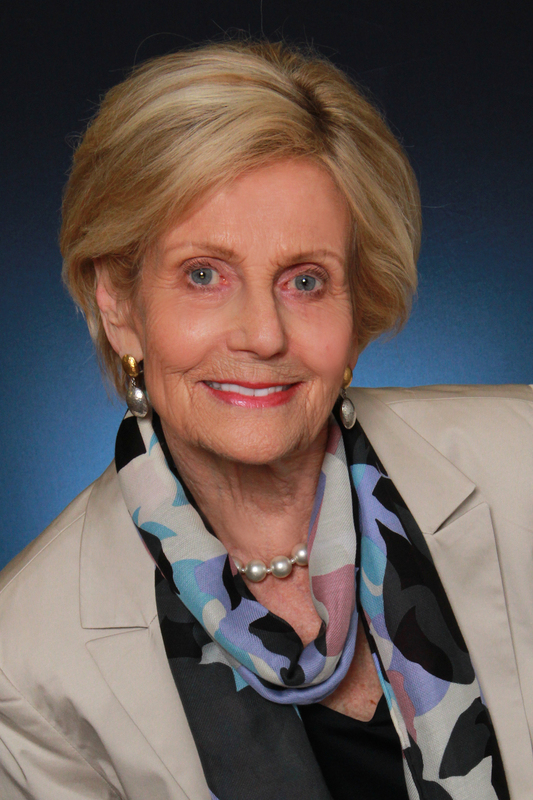 She has been inducted into the Sea Pines Real Estate Company's Hall of Fame, Silver Level. Sprechen Sie Deutsch? Ich auch und ich habe viele Deutsche Kunden, und auch Deutsch sprechende Kunden aus aller Welt. Moving to Sea Pines in 1976 was a dream come true for Nancy Love....and a dream she still lives enthusiastically today. Sharing her love for the Sea Pines community with her clients has been her ideal career - one she has been at for over 35+ years. Her knowledge of Hilton Head Island real estate, and expertise in Sea Pines real estate, has made her a much sought after real estate agent. 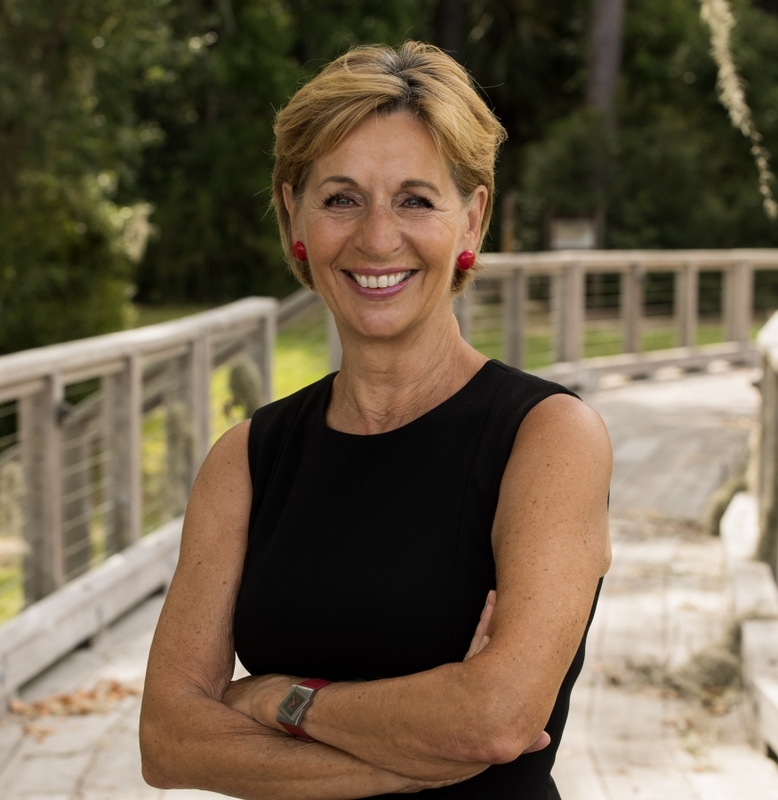 Nancy understands the nuances of the various neighborhoods within Sea Pines and, by listening and understanding her clients needs, can ideally match her clients with the location and home of their dreams. "Nancy...I just wanted to drop a note from me and Aggie to say THANK YOU for everything that you have done to help make our dream come true. From continuing to stay in touch with us and send us notice of properties that might be of interest...to taking your time to show us properties...to helping us manage the process once identifying a property that worked for us...you have been tremendous. We are excited and you are a big reason that is possible...thank you so much." 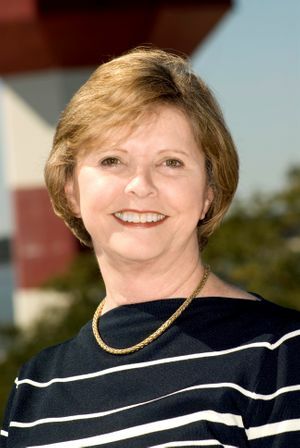 Nancy attended Lenoir-Rhyne College and graduated from University of North Carolina. She is an active member of the Kappa Kappa Gamma Sorority. Her leisure time is spent golfing, biking or reading and planning her next trip. Her most recent trips have been Argentina, Vietnam, a humanitarian trip to Cuba and countless African safaris while visiting her daughter and her family in Uganda. 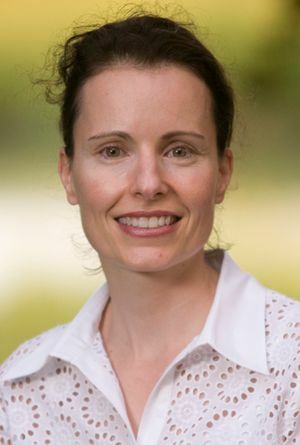 Originally from Cape Cod, Massachusetts, Lee Simmons relocated to Hilton Head Island in 1998 with her husband Jamie and daughter, Morgan, who attended Hilton Head Preparatory School in Sea Pines Plantation for 12 years and is a current graduate of Virginia Tech. Lee has over 30 years experience in the commercial and residential real estate markets. Prior to coming to the Island, Lee worked exclusively for the 2nd largest developer in New Hampshire, The Stabile Companies, selling, leasing and assisting in the design of commercial real estate properties. Since moving to Hilton Head Island, Lee has listed and sold over 100 million dollars of residential real estate, assisting investor and homeowners alike. She has remained one of the top Sales Agents in Sea Pines Plantation and Island Wide. It was in the early 1970’s when Linda first visited Hilton Head Island. With every trip she fell in love with Hilton Head more and more. She knew that someday it would be her home. Linda and her husband Forest have now been living here full time since 2007, and Hilton Head Island has never disappointed them. After working more than 25 years in the telecommunications business in Cincinnati, Ohio and in Honolulu, Hawaii, Linda is so thankful that she decided to transition to selling real estate in this place that she has grown to love. 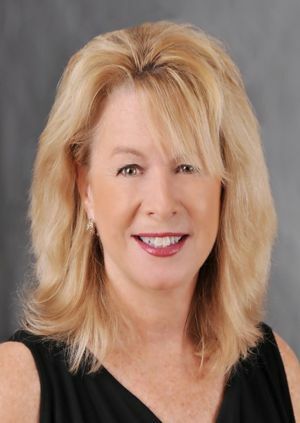 Since they were considered to be the best, Linda joined Sea Pines Real Estate in 2007, and is now a Broker and owner of Sea Pines Real Estate South Beach. Linda is currently on the HHIMLS (Hilton Head Island Multiple Listing Service) Board of Trustees. She is the past President of HHAAOR (Hilton Head Area Association of Realtors), and a Board member there for several years. Because Linda firmly believes in continuing education within her profession, she holds several distinguished real estate designations including EPRO, ABR, RSPS. She also graduated from the Leadership Hilton Head program. Linda would love to help you learn more about Hilton Head and find the primary, second or retirement home of your dreams or perhaps a great investment opportunity. "Hilton Head Island has so much to offer and it just gets better every day. It’s always a beautiful day on Hilton Head Island and a great time to buy! I love the location in the Lowcountry, the pace of life, and the ability to enjoy the outdoors year-round but still get a chance to enjoy the change of seasons. I certainly don’t miss long the commutes to work, heavy interstate traffic, or industrial pollution." Lorri first arrived on the white sand beaches of Hilton Head in 1988 on an accidental college vacation. A few more trips was all it took for her to realize that driving "off" the Island after vacation was over was something she never wanted to do again..so she stayed. 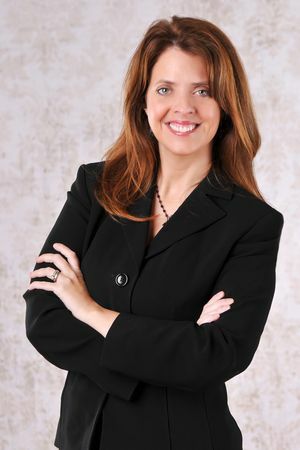 A native of Michigan and a graduate of the Eli Broad College of Business at Michigan State University with a degree in Accounting, Lorri is most known for her "tell it like it is" way of doing business. She's proud to be called a trusted advisor to her many clients, achieving more that $175 million in sales during her real estate career so far. A full time realtor/broker for 12 years, Lorri loves all things real estate and is dedicated, along with her team, to top notch customer service. She especially invites new clients who have "Realtor Phobia" to call her to find their special property. Lorri is sure to wipe out any previous bad realtor experiences and leave you wishing you would've called her sooner. 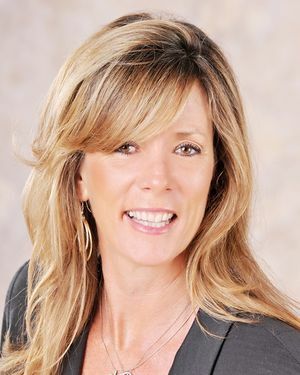 Sara Proudman Callen has been a realtor since 2005. She took some time off to raise her family and take care of family members and is now back to full time status, excited and ready to dedicate herself to clients. Sara graduated from Moravian college in Pennsylvania with a BA degree in Sociology and Psychology. After working in the corporate world for a few years, she learned she was not suited for a typical desk job. This eventually led her to pharmaceutical sales. After seven successful years in the industry Sara and her family took a vacation to Hilton Head and were so drawn to the island that they decided to take a leap and move, parlaying her pharmaceutical sales experience in to real estate sales on the island. Now a family of five, they have happily lived on the island for 15 years, convincing other family to join them along the way. Sara is involved in volunteer work for her children’s school and local youth sports. Sara knows the island, loves the island and would love the opportunity to help people find their dream home. She can’t wait to work with you. 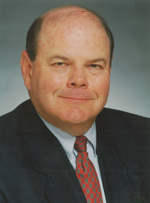 Al Bobbitt grew up in Charlotte, North Carolina and graduated from Furman University in Greenville, South Carolina. His early career was spent with Sears in various marketing and merchandising positions throughout the Southeast and Chicago. Al then moved to New York City where he started a company specializing in fine woolens, cashmere, and camel hair fabrics. He later headed a marketing consulting firm specializing in apparel licensing. Al has been a Sea Pines property owner since 1981 and has experienced the growth of Sea Pines, as well as the entire Hilton Head Island community, over the years. 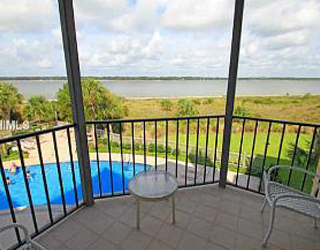 He is familiar with all the amenities and natural beauty that Hilton Head affords. Al has been on various boards in Sea Pines and is currently on the board of the Club Course POA. My first visit to Hilton Head was in a small airplane. We landed on a plowed field that was called an "airstrip." Most of the roads were dirt roads. It was a beautiful, peaceful, subtropical island. 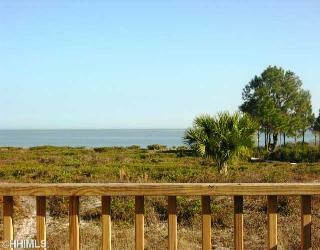 I bought a beachside lot on Belted Kingfisher Road, which was the last road at the time in Sea Pines. There was no South Beach, no marina, just a maritime forest beyond. By the time we moved here in 1968 Harbour Town had been built and the first Heritage Golf Tournament was held with Arnold Palmer the star attraction. We subsequently raised two daughters here. I've been privileged to live in Sea Pines for over 42 years and have sold real estate for over 30 years. If you want or need a professional with a special frame of reference, please call me. I'm known as "a trusted name in real estate." Samantha has been involved in the family real estate business since she was 13 years old. Throughout the years, she has been a personal assistant to her mother, Nancy Love. as well as a sales assistant with Sea Pines Real Estate Co. Samantha went on to found her own marketing company, Chameleon Interactive, which specializes in assisting small business clients primarily in real estate. She has expanded upon her professional marketing strengths through print marketing, web design, architectural photography and video. She has been the marketing arm for Nancy Love and the Love Family for 25+ years. Samantha became a licensed Realtor® in 2016. Samantha attended Sea Pines Academy (Hilton Head Prep) and graduated from Auburn University with a B.S. in Public Relations and a minor in Journalism. 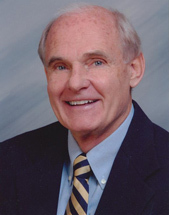 Ben has been active in real estate in Colorado and Hilton Head since 1970. Originally from Pennsylvania, he graduated from the U.S. Air Force Academy with a BS degree in engineering and also graduated with an MBA from Boston University. 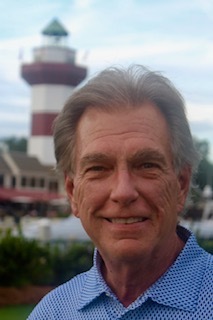 Ben started his real estate carrier on Hilton Head in 1978 when he joined the Sea Pines Real Estate Co. 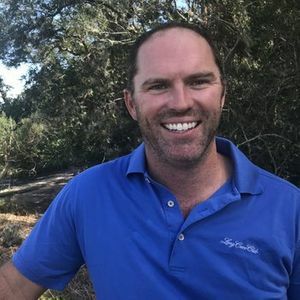 While concentrating exclusively on selling in Sea Pines in his early years, Ben has expanded his area of expertise to include the entire Island and surrounding Low Country. 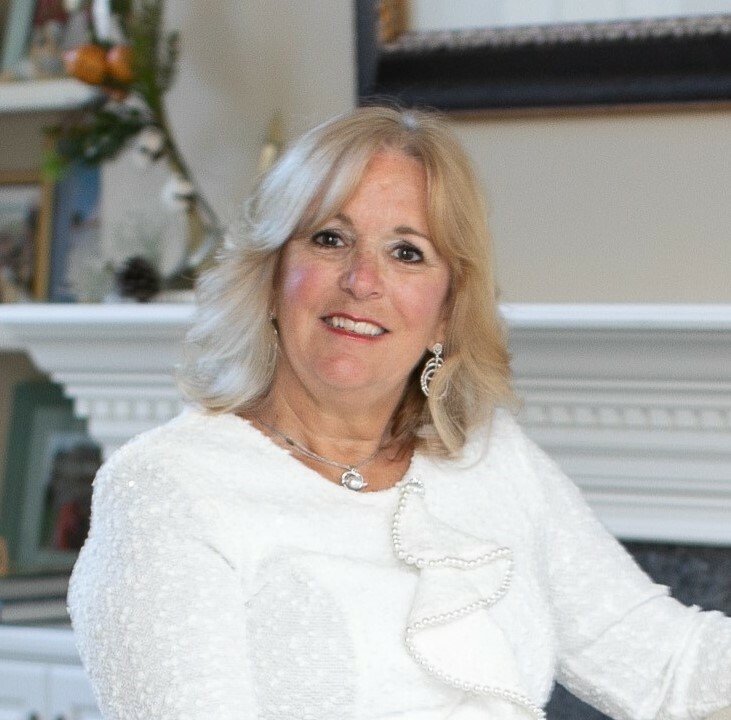 Originally from Roanoke, VA, Ann spent many summers growing up on Hilton Head Island with her family, After graduating from the University of North Carolina at Chapel Hill, Ann permanently moved to the island in 1979 and has been in real estate sales for the last 32 years. 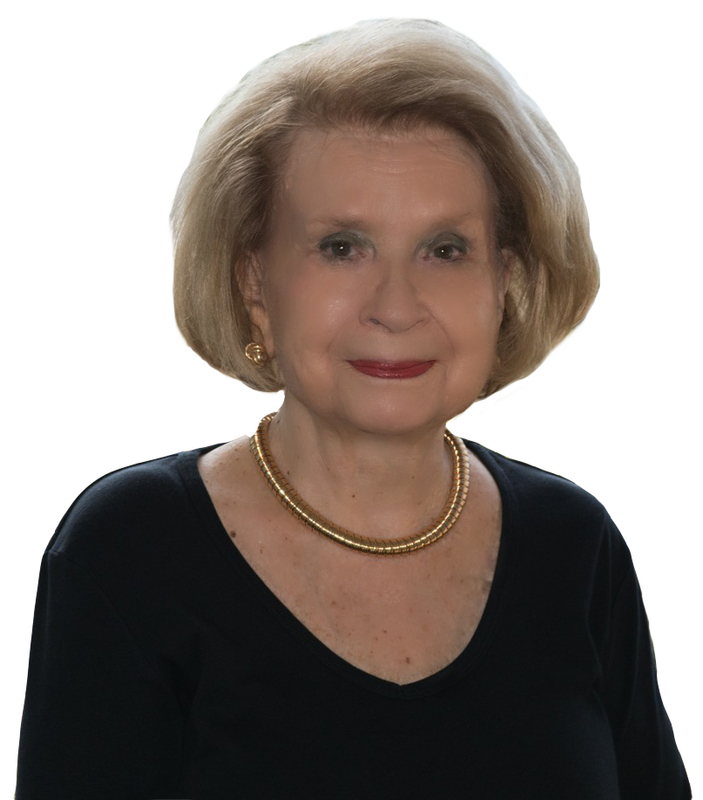 She is a Life Member of the Distinguished Sales Award and a Top Producer/Hall of Fame Member for the Sea Pines Real Estate Company with over $250 million in sales. Ann is a broker at Sea Pines Harbour Town Cottage Office. An Island residence since 1974, Rob and his wife, Jody, have 4 children and live in Spanish wells. 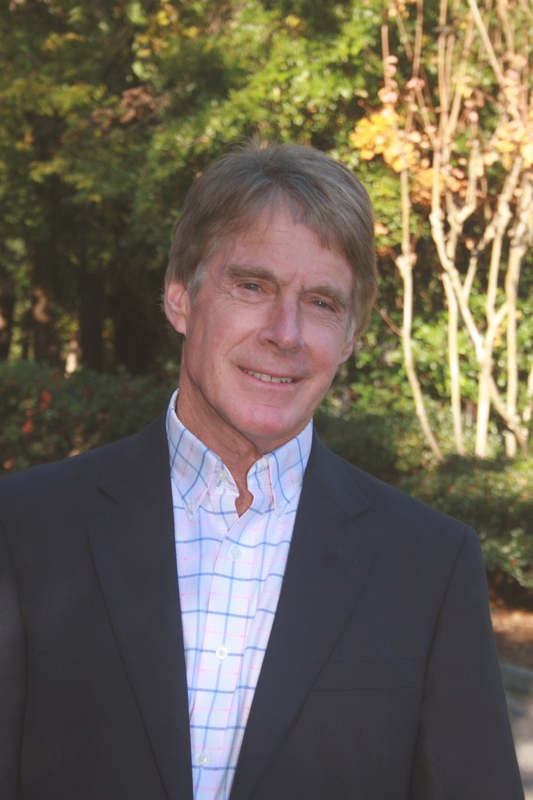 As a former Tennis Professional, Rob was the Director of Tennis for Sea Pines, Shipyard and Port Royal Racquet Clubs. A real community leader, Rob has coached soccer and baseball for the Island Youth program, is an Elder at Hilton Head Presbyterian Church, and a Board Member at Hilton Head Christian Academy. In 1987 Rob joined The Sea Pines Real Estate Company and became their Top Agent within 2 years. 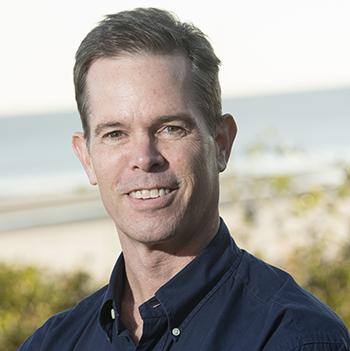 Rob has sold more property than any other agent in the history of Sea Pines. If you’re looking for someone to help you achieve top dollar for your property in the Low country, you can find Rob at our Beach Club Office in Sea Pines. Put the #1 Pro to Work for You! Mary has lived on Hilton Head Island since 1982. She graduated from Western Michigan University in Kalamazoo Michigan and made the decision to move here permanently after having been a tourist on the Island herself. Over the years Mary has created a robust social and professional network in the Lowcountry which is a great asset as a Realtor with The Sea Pines Real Estate Company. Her career with Sea Pines has proved to be extremely satisfying and rewarding, receiving a Top Producer award as well as placing 4th in Closed Sales in 2007 for the Sea Pines Company. Mary's clients will be the first to tell you that she makes the buying and selling a fun process from start to beyond the closing. 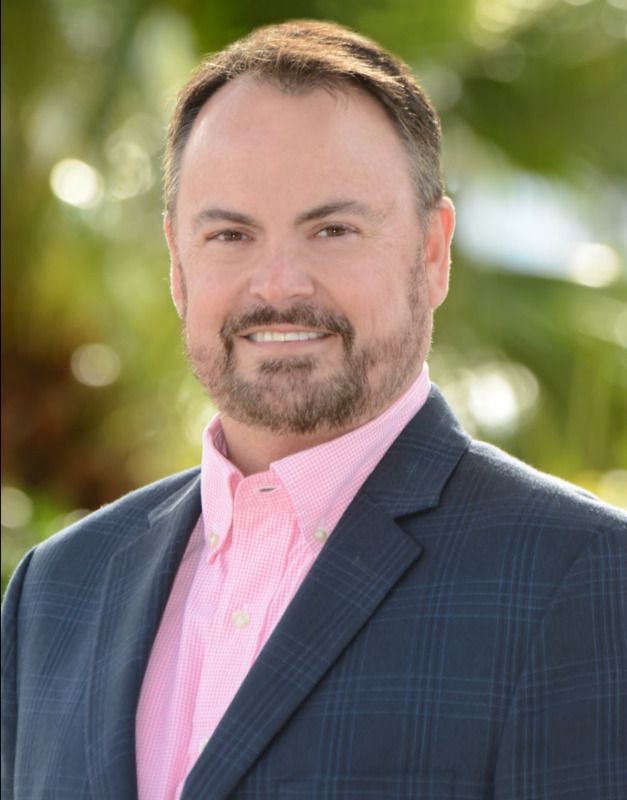 David began his real estate career with The Sea Pines Real Estate Company in 1993 and is a recipient of the Life Member Realtor Distinguished Sales Award. Sharing the Sea Pines dream with others has grown into a lifelong passion for David, one that he has happily undertaken for 24 years. A home tour with David often leads into a fascinating journey of the Island's history, its natural surroundings and to all the attributes and amenities that makes Sea Pines so special. David offers a refreshingly down to earth and caring approach to his client's real estate interests and to their goals. David is a graduate of Sea Pines Academy and the University of North Carolina at Charlotte with a Bachelor of Science in Business Administration degree. Having been part of this great profession since 2000, I cannot think of a better experience or satisfaction that to sell someone a home or villa on Hilton Head, welcoming them to the island lifestyle. I have been a sales executive with Sea Pines Real Estate since September 2000 and became a partner & owner of The Cottage Group in 2009. Prior to getting involved in real estate, I was a golf professional at Haig Point Club on Daufuskie Island for seven years. I have been a Hilton Head Island resident for over 34 years and truly love the Lowcountry. If you are thinking of investing in our area, put The Scott Team to work for you! Real Estate has always been an important part of my life. I began my career in Germany nearly 25 years ago and have been immersing myself in real estate markets across the globe ever since. In 2014, I made the decision to move from Berlin, Germany to the Hilton Head Island/Bluffton area– a decision I consider to be one of the best I have ever made. As a local, I have fallen in love with our area, the people and the quaint, relaxed feel of the Lowcountry. As a German, I have a unique understanding of the expectations clients from overseas may have when considering purchasing property here. Through my past experiences as a real estate agent, and as a communications coach for CEO´s and politicians in Germany, I have learned that open, trustworthy communication is the cornerstone for building a solid working foundation. It has helped me to not only gain the trust of my clients, but also to solidify the skills needed to effectively and effortlessly meet the needs of buyers and sellers across the Lowcountry. Whether you are looking to purchase a second home, primary residence or even a solid investment property, I will be there to guide you through the process of finding your perfect property! I was born on another barrier island....Atlantic City, N.J. and grew up in Leave-it-to-Beaverville, Margate, a small town south of Atlantic City! As soon as I graduated from Centenary College, I headed for NYC, to live at The Barbizon Hotel for Women. I started my modeling career but then was hired for my "dream job", as a textile designer at the J. W. Valentine Co. Three years later I married and headed for another "dream job", as an art teacher at The American School in Lugano, Switzerland. After returning to the states, we moved to Philadelphia, where our children were born. Enroute to Disney World, in our station wagon in 1973, our tired 5-member family stopped for gas in Hardeeville. After many hours on the road from Radnor, Pa., the station attendant suggested we spend the night at the Inn On Hilton Head Island, a place I had never heard of. The old swing bridge was OPEN, so we turned off the motor and sat there...for 15 minutes while a sleek, beautiful, sailboat named COMPASS ROSE, finally slipped by. There were no cars behind us and none on the other side of the bridge! The road was only 2 lanes and we passed no one on our way to the "inn". After checking in at the Hilton Head Inn (gorgeous), we went to see Harbour Town! While my late husband was taking the kids to see the famous (to him) Harbour Town Golf Course, I hopped on the back of a real estate agent's golf cart, went to see the Heritage model villa, and signed a sales contract for it that day!!! We later returned to Philadelphia, landed in a blizzard, and then and there decided we were moving to South Carolina!! What a shock to family, friends, and neighbors. We moved here in 1974. It was the best decision we ever made. After being hired by Charles Fraser (founder of Sea Pines, owner of the COMPASS ROSE) as the new Advertising Dir. of the Heritage Classic magazine, and later hired again by Charles Fraser to sell real estate at the Twin Oaks Model (across the street from our new house) I moved forward. I subsequently became the Owner/President of Harbour Realty and Rentals. As a founding member of the Hilton Head Board of Realtors, the Multiple Listing Service, President of Seaview Properties; Broker-in-Charge of Lighthouse Realty at The Intercontinental, Broker-in-charge of Wexford Realty, I've enjoyed a 39 year real estate career on this beautiful island. My 3 children; Sunny, Hank and Amy grew up here and upon college graduation left for the "big city"; NYC, Wash. D.C. and Boston respectively. As soon as all had graduated, I sold my company and returned to the Sea Pines Co. The girls returned to rear their families here and Hank is still at The Pentagon, figuring out how to "come home". So, this is my story, my home, my nirvana. As all my clients, friends, and family say; "life is really better here!" Call me. You will love it here, too. My office is at the Sea Pines Welcome Center, so stop in anytime. There are few Sea Pines residents that have the experience and the knowledge of Sea Pines that Laura’s 53 year association with Sea Pines brings. Originally from St. Louis, Laura and her husband moved to Rochester, NY in 1961 where she was a college registrar and dean. The cold weather, however, was forbidding and in 1964 they came down to visit Sea Pines with their kids. Every summer after that they returned until in the late 1960’s when they bought their first property and moved here in 1976. Laura has been a top producer with Sea Pines Real Estate for 41 years. She feels that her success is due in large part to her love of the Island, and a firm belief in the value of Hilton Head area properties. A graduate of Duke University with a Masters Degree from Washington University in St. Louis, Laura has been actively involved in the community, having served on the Hilton Head Planning Commission, the Southern Beaufort County Regional Task Force and numerous Boards. She takes great pleasure in using her experience and knowledge of the area to serve her real estate clients. She is a long-time resident of Sea Pines, and has lived on the ocean in South Beach for over 30 years. Born and bred in SC, I was nine years old the first time I visited Hilton Head Island with my family. Little did I know that my husband, Cary, and I would make the Island our home in 1975 when we married and he began to pursue his career as a PGA professional. I like to tell people that he brought me to paradise, and we never left. With a degree in Biology from Columbia College and certified as a clinical chemist, my first career was in laboratory medicine working in clinical and research settings. However, when we adopted our son, Parker, I wanted more flexibility in my schedule and decided to pursue a career in real estate. I found my analytical training and love for people were a perfect match for helping home buyers and sellers with their real estate needs. Recognized as a Top Producer and Distinguished Sales Award recipient while a realtor with Sea Pines Real Estate, I became a principal and broker-in-charge with our Sea Pines Real Estate at the Beach Club office in 2009. When you are looking for a real estate professional who cares about your needs and who has the experience and expertise to accomplish your goals, It Makes Sense to Work With Wendy! My goal is to always serve with excellence. 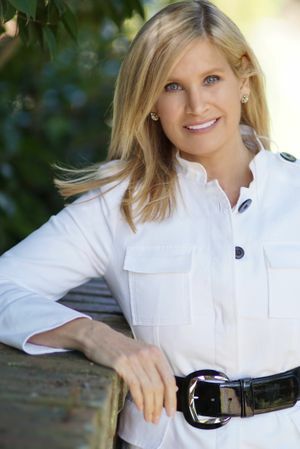 Courtney May is a lifelong Hilton Head Island resident with a prominent family history of real estate representation. Courtney recently joined The Cottage Group and brings with her a passionate brand of Signature Service, providing sellers with unparalleled personal attention. Her invaluable island insights, home staging talents, trend forecasting, marketing, and contract execution make the common stress of home selling confident and enjoyable. Courtney prides herself on strategically designing and implementing innovative sales strategies that utilize targeted marking resources in print, digital, email, and social media. This unique mix creates an instant impact for properties by raising awareness, interest, and ultimately, sales. 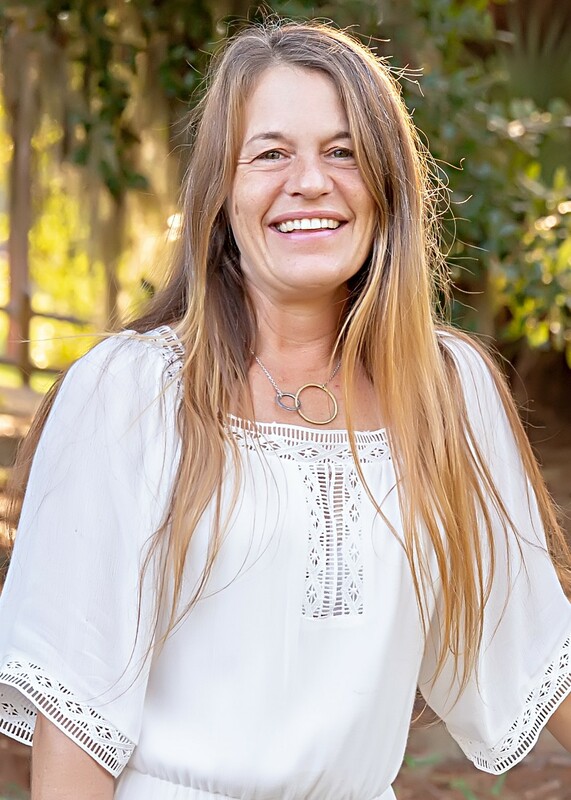 Courtney and her husband, Jeremy, have a precocious daughter named Alden and an inventive son named Thompson, who both graduated from Sea Pines Montessori Academy and now attend Hilton Head Island Elementary School for the Creative Arts. Courtney is also the proud daughter of Hilton Head Island real estate icon, Lottie Woodward. Courtney enjoys running, travelling, cooking, boating, going to the beach, and spending time with her family. Courtney and her family are members of St. Andrews by the Sea Methodist Church, where Courtney teaches Sunday school and is a nursery volunteer. She has completed eight half-marathons on the East Coast. Courtney truly embraces the Hilton Head Island lifestyle and looks forward to helping you find yours! 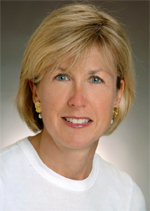 Originally from Bronxville, New York, Barbara spent her professional career in New York City. After vacationing for several years, she relocated to Hilton Head in 1981. In Manhattan, she worked for Conde Nast Publications as a Merchandising Editor and later became involved in real estate. 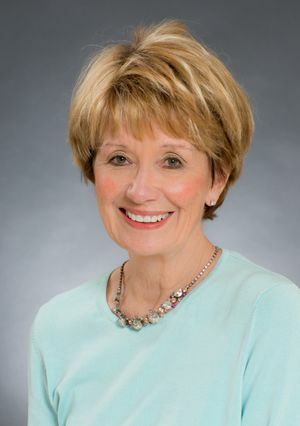 At Whitbread Nolan, she specialized in apartment/town home coop and condominium sales, Barbara has been a sales executive with the Sea Pines Real Estate Company since 1984 and is a Lifetime member of the Distinguished Sales Award. She enjoys the challenge of matching the needs of buyers with the right property and working with sellers to market their property to sell in today's market. Gregg Russell has often been called the most recognizable person on Hilton Head Island. For over forty years, his nightly summer performances under the Liberty Oak in Harbour Town have been a “must see” event for millions of Sea Pines guests and residents. But, there is also a less visible professional side to this popular Islander. 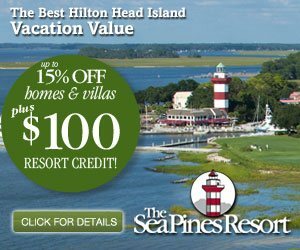 As a long time Sea Pines resident and Beach Club Real Estate professional, Gregg has been very active in providing his friends, fans and family with valuable information about making Hilton Head their permanent or part time home. In the constantly changing landscape of Island real estate, there is simply no substitute for the intimate knowledge of the marketplace that decades of personal “hands on” experience can provide. Gregg believes that the most successful transactions are those that result in a win-win for both the buyer and the seller. He also believes that a calm and steady approach, through what can be an emotional and highly stressful real estate transaction, usually produces the best and most satisfying results for all involved. I was born in Barcelona, Spain and moved to Los Angeles to attend college. After graduating with a degree in International Business & Marketing, I moved to Hilton Head Island in 2004, where I owned and managed a national medical supply business. It was during this time that I developed an interest in the real estate market and began investing in commercial properties. Once I discovered my passion for real estate, it only made sense to explore the residential side of the industry, and I am thrilled to be joining Sea Pines Real Estate – The Cottage Group. In my free time, I enjoy horseback riding, traveling, and spending time on the beautiful beaches of Hilton Head Island. I am the mother of three boys, ages 4, 6, and 10, who attend First Presbyterian Day School and Hilton Head Elementary. I am a member of Saint Francis by the Sea Catholic Church. I am excited to be joining an amazing group of Realtors at the Harbour Town Cottage office in Sea Pines, where I hope to use my hard-working, organizational skills to help clients with all their real estate needs. Kathy is a native of Green Bay, WI and a proud Green Bay Packer fan. Kathy had a successful career in telecommunications sales for 10 years after graduating from Marquette University with a marketing degree. In more recent years, Kathy and her husband Jim bought and sold numerous successful businesses including a home inspection franchise called HouseMaster, “The Home Inspection Professionals”. During this time, Kathy became more interested in real estate as an investor in numerous properties from duplexes to high-rise condos in multiple markets. Kathy and Jim also built numerous homes and recently completed renovating their own beach house in Sea Pines, which they just love. Kathy is also a proud parent of 3 children, Andrew, Ellie and Lindsay. Lindsay is a sophomore at Hilton Head Prep and Ellie graduated from Prep last year and now attends Villanova University. Andrew is a senior at Santa Clara University. 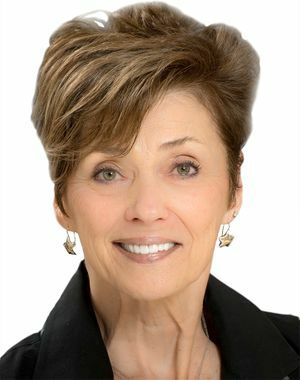 Kathy’s experience in real estate investment properties, home inspections and marketing make her uniquely qualified to assist buyers and sellers alike. Zach Patterson was born and raised in Columbia, South Carolina and attended the College of Charleston where he received his degree in Business Administration. Zach has been a Sea Pines resident for over 10 years. In his free time, Zach can be found on one of Hilton Head Island’s many beautiful golf courses or working on his serve on the tennis court. He enjoys playing guitar, travelling to new places, and 75-degree days. Zach joined The Cottage Group in 2015 and is excited to be part of an exceptional team of Realtors. He looks forward to helping clients, new and old, in their search for the perfect island property. Barbara Scott is a native of Augusta, Georgia and a graduate of the University of Georgia. 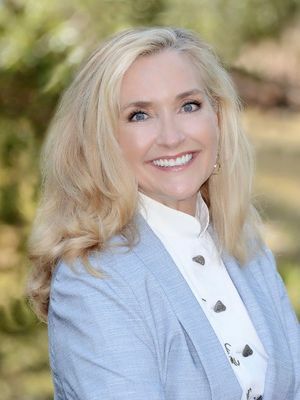 She served on the local and state Board of Realtors and was the Owner & Broker in Charge of a real estate firm in Augusta for 10 years prior to moving to Hilton Head Island in 1980. Barbara has been a Realtor since 1967 and has been selling real estate on Hilton Head since 1981. She truly loves the business, and over her 47 years has received all the elected and appointed professional accolades deserving of a dedicated Broker & Sales Executive. Barbara and her son, Thurber Scott, welcome you to experience the benefits of their team approach. We know you will be pleased with their manner of doing business – Putting you first! John moved to the area in 1973. His father Jim was with the Bank of Beaufort. Jim was an active member of the community and retired from the bank in 2005. John graduated from the Beaufort Academy with honors and he attended the University of North Carolina at Chapel Hill. On the weekends he can be found on the tennis courts, golf course, the beach, or out on his boat. An avid outdoorsman, John is the proud father of two amazing daughters and he is and active member of St. Luke’s Church on Hilton Head Island. Professionally John has worked as a mortgage lender, a commercial lender and as an Investment advisor. His professional background is in banking, lending, investments, and real estate. His professional background and extensive knowledge of the area allows him to help his clients buy/sell their property at the best possible price. John will aggressively negotiate on your behalf and will help you navigate the entire process through the closing and beyond. After my father retired as President of Sherwin Williams Company S.A. in 1969, the entire family spent the next three months visiting every coastal town from the Florida panhandle to Wilmington, North Carolina in order to find the perfect place to write the next chapter of our lives. Shortly thereafter, I transferred from St. Paul’s School in Sao Paolo, Brazil to Hilton Head Island. My college life took me to the University of South Carolina, where I earned a Bachelor’s degree, majoring in economics and marketing, with a minor in German. My professional banking career began with the startup of the Bankers Mortgage office on Hilton Head, progressed on to Atlanta, and culminated in Zurich as a Swiss banker. In 2000, my two boys and I returned to Sea Pines – the one place we truly call home. Let my passion for our Island paradise and my extensive knowledge of the entire Hilton Head Island area help you find your ideal property. Whether you are looking for a vacation property, a retirement home, or are simply an expatriate looking for a US home base, let me help you identify your best alternatives! For complimentary up-to-date market reports by Hilton Head Island area, newest listings on the market, and real-time search please visit my website Your Hilton Head Agent. My family always visited Hilton Head Island a few times each year as we were growing up. I was born in Philadelphia and lived most of my childhood years in upstate New York; in Buffalo and just outside of Syracuse. We moved every four or five years, it seemed, but Hilton Head was always the “constant” for our family. After graduating from Marshall University (Huntington WV) in 1986 with a degree in Business/Marketing, I moved to Hilton Head as a full time resident, in 1987. It was quite a change to be on the Island now as a “resident” rather than a “visitor”! I received my first Real Estate license in Huntington, West Virginia in 1982, while I was a full time student at Marshall University. My mother was my first Broker in Charge after she opened Bunting Group Real Estate in Huntington. I joined Sea Pines Real Estate in 1988 and have been selling property in Sea Pines and across the Island ever since. I own and live in Sea Pines and have two children, Nancy and Charlie. Either Forest can’t figure out what he wants to be when he grows up, or he simply loves new challenges. Raised in Cincinnati, Forest earned a BS in Mechanical Engineering from the University of Cincinnati while he worked designing industrial dust and fume control systems. After obtaining his MBA, he went to work for IBM selling large computer systems and software. Seeing a market need, Forest set about the building of an industrial and commercial equipment finance company that funded over $1.2 billion of equipment for his clients. He “retired” from that venture, and settled into building and remodeling homes.During this time, Forest has maintained two loves – his college sweetheart, Linda, and Hilton Head Island. Having vacationed on Hilton Head since 1967, and having owned property here since 1999, his Hilton Head love affair continued to grow. He and Linda made the decision to live here full time in 2007. Not ready to retire, they immediately joined Sea Pines Real Estate as agents, then brokers, and helped form Clark, Cramer & Frank in 2007. He and Linda love beach walks, bike rides, and to dabble at golf. Forest occasionally satisfies his urge to build, and voraciously reads up on the latest trends in design and construction techniques. He has owned property on Hilton Head from Windmill Harbour to Sea Pines, and sold property all over the Island and in Bluffton. He knows the local real estate market as well as any, and better than most. Forest is adept at real estate finance solutions and the art of negotiation. He would appreciate the chance to help you buy or sell here in his Island paradise. After graduating from The Ohio State University in 1989 with a degree in business/marketing, I moved from Ohio to Hilton Head in 1991 to pursue a career as a golf professional and worked at the Oyster Reef Golf Club. After attaining my PGA membership, I had an opportunity to change career paths and start a real estate appraisal firm. I have owned and operated my own real estate appraisal company since 1998 and have performed over 2500 residential appraisals. I am a Certified Residential Appraiser as well as a Licensed Real Estate Sales Agent. Thanks to my extensive appraising background, I have a unique knowledge of most every neighborhood on Hilton Head, Bluffton and beyond. I believe that once I know a buyer’s needs, I have the ability to help them find what they seek. I have been a South Beach resident since 1993. It was over 50 years ago when Bob first walked on the Sea Pines beach. His family has owned property in Sea Pines continuously since the late 1960’s. After graduation from Duke University in 1971, Bob heard John Denver’s song “Rocky Mountain High” and headed west where his entrepreneurial spirit and love of the outdoors led him to owning and presiding over three different start-up companies. After 26 years in Colorado, “multiple knee injuries” caused Bob to give up the slopes, and head east for the fairways of Hilton Head. 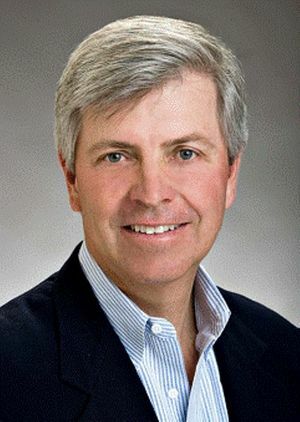 His business and marketing background were key to Bob’s success since his joining Sea Pines Real Estate in 1997, where he has consistently been one of the company’s top selling agents, and then moved on to help establish Sea Pines Real Estate’s top selling real estate team, Clark, Cramer & Frank. Bob is an active member of the Sea Pines Country Club and lives in Harbour Town with his wife Lorane. They spend their leisure time playing golf, tennis, riding bicycles, and walking their dog on the Sea Pines pristine beaches. It Would Be My Pleasure to Help You Achieve Your Real Estate Goals! Welcome to Hilton Head Island! My family vacationed on this beautiful island during the years that we lived in Atlanta and Nashville from 1969 until 1985. In 1985 a dream came true and we purchased a Schooner Court Villa on Calibogue Sound in Sea Pines. We enjoyed this wonderful spot as a vacation home until 1989 when another dream came true and our family moved to Hilton Head Island as permanent residents. We are truly blessed to be able to live and work on this lovely island! It would be my pleasure to be of service to you or your friends - whether buying or selling real estate or just planning that very special vacation. The best part of my job as a realtor on Hilton Head Island is making new friends and helping to make your dreams come true! Please stop by my office at the Beach Club or give me a call. Let's begin now to make your dreams come true! Mike grew up in Greensboro, North Carolina and learned to love the Carolina beaches from an early age. He first visited Hilton Head with his family in 1967. Business opportunities have taken Mike and his family to Atlanta and Nashville but Hilton Head has always been the go to place for rest and rejuvenation. 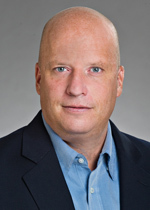 A graduate of Washington and Lee University with an MBA from Emory, Mike spent the early part of his extensive business career as a partner in the Management Consulting Division of the Ernst and Young accounting firm. In 1989, the Lawrence family fulfilled a dream and moved to Hilton Head Island. 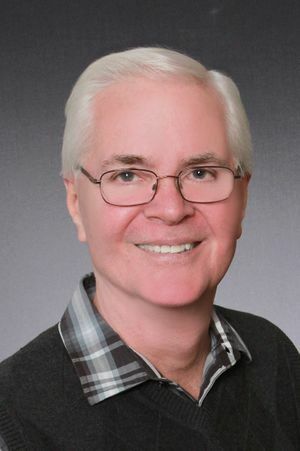 After an early stint with the Sea Pines Real Estate Company, Mike became Chief Financial Officer and then Chief Executive Officer of Sea Pines Associates, a previous owner of the Sea Pines Resort and Sea Pines Real Estate Company. He served on the Sea Pines Community Services Association Board for 14 years and as Chairman of the Board of the Hilton Head Island Chamber of Commerce. 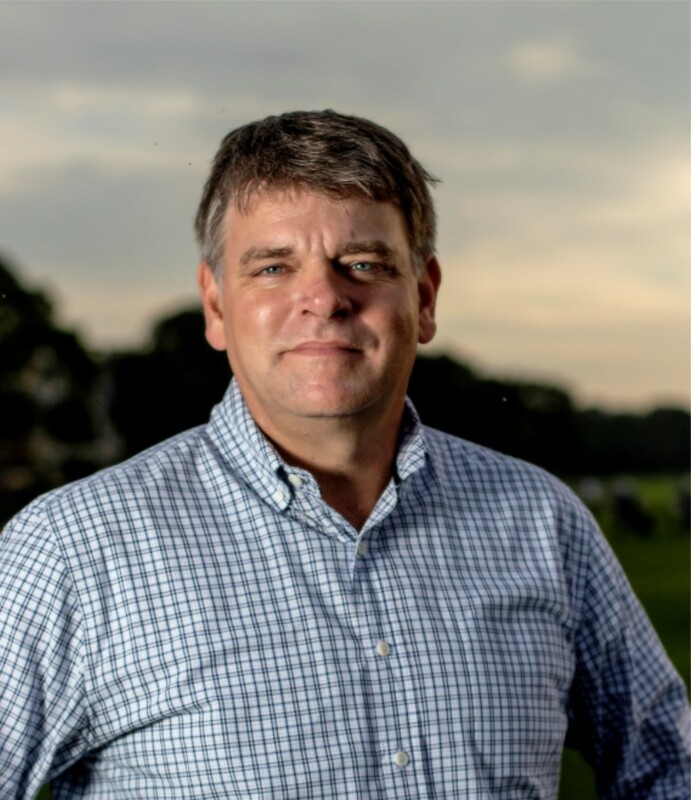 This background has provided Mike with knowledge of the Sea Pines covenants, the inner workings of the Sea Pines Governance model and the Town of Hilton Head. As a real estate Broker and a Certified Public Accountant he is well equipped to serve the needs of clients interested in residential real estate, residential investment property, and commercial real estate. Rich Huston is originally from Ohio and has a degree in Engineering from the University of Tennessee in Knoxville. He has lived on the island since 1990, has been a certified residential appraiser since 2005, and began selling real estate in 2008. Rich recently created a website called hiltonheaddoginfo.com which provides information for local pet owners and visitors, including veterinarians, pet-friendly properties & activities, beach rules, dog park locations, and more. I first vacationed in Hilton Head in the early 80’s and lived full time in Sea Pines from 2005 to 2013. Over the years the time spent here has helped me become very familiar with the Island. I obtained my South Carolina Real Estate License in 2006. I was previously the Manager of the Atlanta and Savanah offices of Expeditors International, a Fortune 500 service-based logistics company headquartered in Seattle, Washington. My years working for this company provided me with an enormous amount of corporate training. Customer service was the company’s and my specialty. I have sold over $30,000,000 in real estate in the Atlanta area and I am ready to transfer my knowledge and superior customer service skills to the Hilton Head Area. Barbra's love affair with Hilton Head Island has been going on for over 30 years. “Having first visited Hilton Head in 1974, we built our house in 1980 and have never looked back on that decision. Not a day goes by that I don't take time to appreciate how fortunate I am to live in this naturally beautiful, unique & very friendly paradise! Because of her unique level of personal attention, the majority of her clients - both buyers and sellers - are repeat or referral business and have become friends for life. As they say about working with Barbra..."Nothing Could Be Finer"! 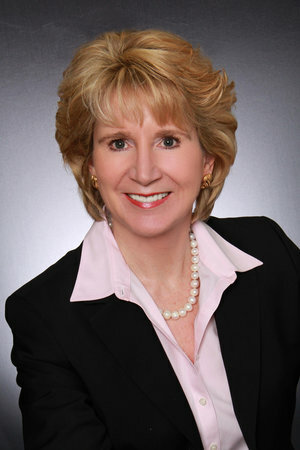 A native of Maine who spent most of her professional career in Chicago, Carolyn Adams relocated to Hilton Head in 1995. She earned her bachelor's degree from Wellesley College in Massachusettes and her MBA from Northwestern University in Chicago. After working as a marketing representative with IBM, she switched gears and became involved in the commercial real estate business, first with Jones, Lang LaSalle and then with A.C. Nielsen managing their North American real estate portfolio. 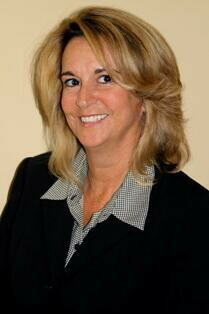 Carolyn has been a broker with Sea Pines Real Estate since 1996 and is a recipient of the Distinguished Sales Award. 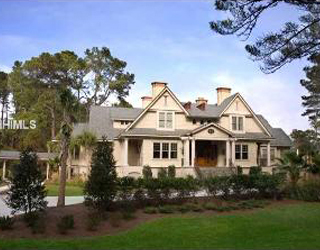 In 2009, she and a group of agents took over the Sea Pines Real Estate Company. Her office is in the Harbour Town Cottage where she is the managing partner. Carolyn and her family live in Sea Pines and she is on the board of CSA, the governing body of the community. A native of Northern Bergen County in New Jersey, Pete has called Hilton Head Island "home" for over 36 years. He and his wife, Mary Ann, were eventually joined by two sons, Ryan and Eric, both born at the then new Hilton Head Hospital Maternity Ward. Since that time, much has changed. Ryan, his wife, Laura, and their beautiful children, daughter Riley Ann and son Aiden Michael, live in Charleston, South Carolina, just close enough for the grandparents to spoil them. Younger son, Eric, has his own home on the island where he still lives and works. Pete began his career in Real Estate in 1975, quickly proving himself to be a top producer. While in New Jersey, Pete was consistently in the Top 10 with one of the largest firms in the country, receiving many awards including the President's Club Honors. Pete is also a recipient of the Life Member Realtor Distinguished Sales Award, and a member of the Sea Pines Real Estate Hall of Fame. Pete's journey to Hilton Head began innocently enough, with Mary Ann's offhand comment that she "could live here" during their first visit in 1980. That visit was followed by half a dozen more over the following year, while Pete and Mary Ann weighed their desire to relocate with the reality of leaving their family and friends in New Jersey. In short time they decided that "yes!" they would move to the Island for good. They have never once questioned their decision. Pete has been serving the Island community and his clients as a Hilton Head Realtor ever since. He and Mary Ann feel fortunate to call this place home. As the Island has grown over the past three decades, so has Pete's business. Known above all for his affable personality, his integiry and his honeesty, Pete will fully dedicate himself to your dream of Island living!